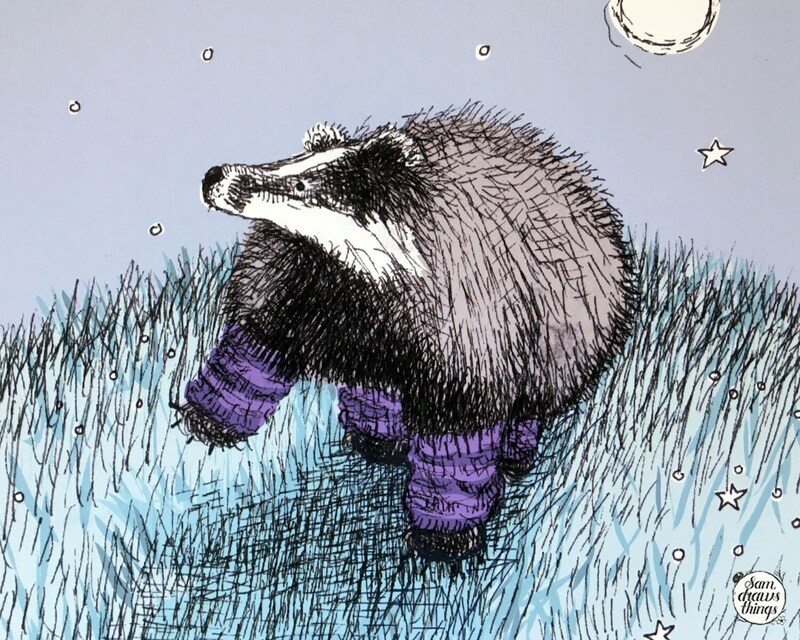 A happy badger dances in the moonlight wearing purple leg warmers. I'm not quite sure what they've been up to, but they feeling fabulous! As a of a child of the '80s, I love legwarmers and literally feel like I'm in Flashdance whenever I put them on. They're also super cosy... I'm sure badgers would love them too. 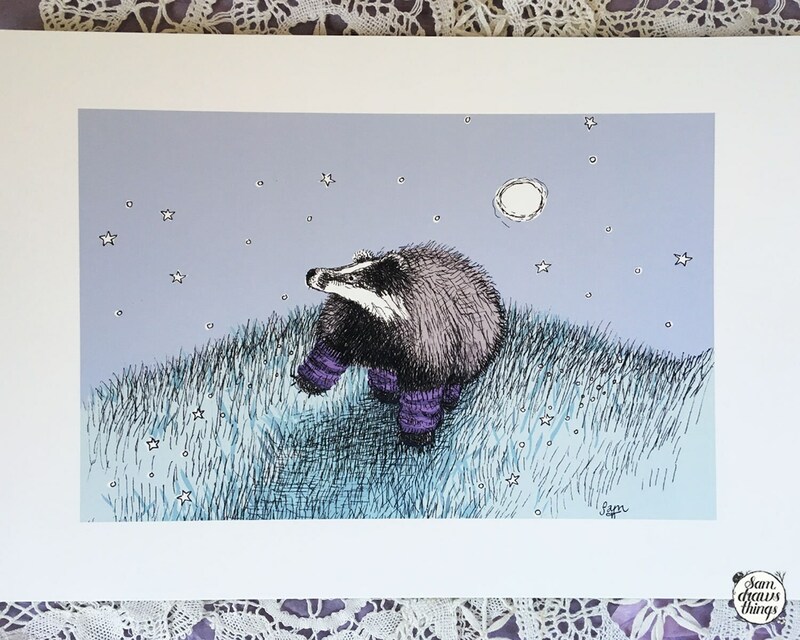 The badger and background have been carefully drawn in pen and ink, and I've added muted colours digitally to create a pretty twilight scene. 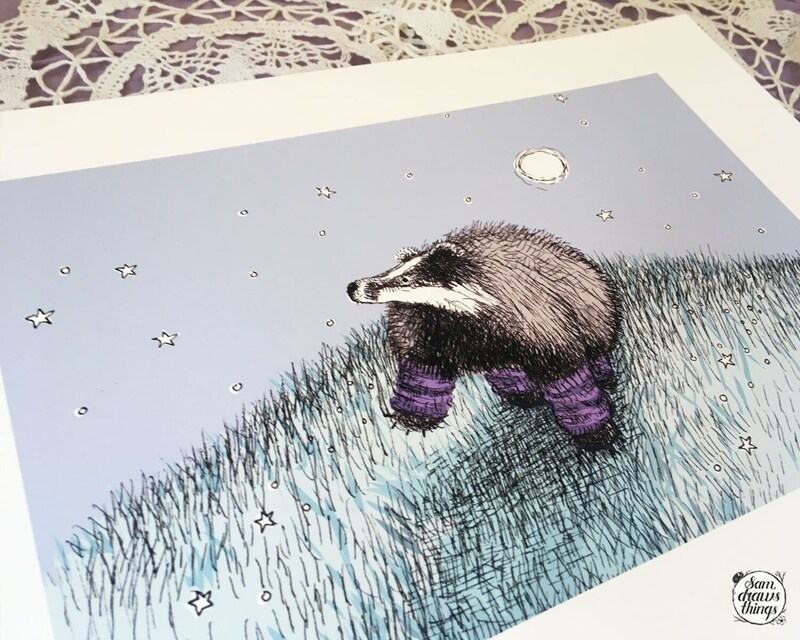 For each print sold, £4 goes to the Badger Trust's badger vaccination project, a positive alternative to the cull that has been happening across the UK.